For more than 10 years, ServiceMaster All Care Restoration has been depended on for our exceptional disaster restoration and cleaning services in Glendale, AZ and the neighboring towns in Maricopa County. Our location in Peoria, AZ, allows us to react promptly to any emergencies regarding disaster restoration for businesses and homes in the Glendale, AZ area. ServiceMaster All Care Restoration started offering emergency disaster restoration services in 2005 when we first opened. Before then, Jeff Jackson, our owner, spent 12 years as ServiceMaster Home Office’s Director of Disaster Restoration. 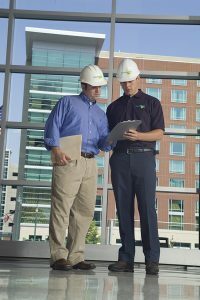 During his time in that position, Jeff worked with ServiceMaster’s national account teams, which gave him the necessary insight and skills to successfully run ServiceMaster All Care Restoration. At ServiceMaster All Care Restoration, our team is comprised of very dedicated and well-trained technicians who are IICRC certified to provide all of our restoration and cleaning services. By using the latest equipment and cleaning products, we can guarantee that our services lead to quality results. Additionally, we do our work in an efficient manner so that your losses are limited and your property is restored as soon as possible. We are committed to providing quality service and working with great attention to detail, which has helped us earn various notable awards like the MetLife Vendor of the Year Award and the Farmers Insurance Vendor of the Year Award. Call ServiceMaster All Care Restoration at (480) 717-3030, where we are available 24/7 for emergency response in Glendale, AZ and neighboring areas. Because of the multiple ways excess water or moisture can enter a property, water damage is an issue that is difficult to avoid. 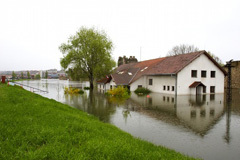 Among some of the major causes of water damage, there are natural events like heavy rain, humidity, and floods, and there are internal problems like broken appliances, overflows, pipe bursts, plumbing leaks, and sewage backups. If you find moisture or excess water has made its way into your home or business, then you need to act immediately. If you don’t, then the water damage will spread and worsen, allowing for further structural damage and even mold growth. At ServiceMaster All Care Restoration, we provide water damage restoration services in Glendale, AZ to eliminate excess water and dry all furnishings and materials that have been affected. We use progressive drying and dehumidification equipment that will not only rid of standing water, but it will also remove moisture from damaged areas. Knowing the destructive power fires have, home and business owners fear potential fires taking on their properties. Fires can begin instantly and spread just as quickly throughout the property, damaging the space and jeopardizing anyone inside. The first steps to take in the event of a fire are to evacuate the property and call the fire department. Once the fire has been extinguished, you need to immediately contact professional fire damage restoration services. By doing this, you reduce the secondary damage caused by lingering smoke and soot. At ServiceMaster All Care Restoration, we provide fire damage restoration services to Glendale, AZ. As part of our services, we clean, restore, and rebuild properties, including both homes and commercial buildings, that have been damaged by a fire. Our professional technicians will work to promptly limit and then stabilize the damage. Following that, we start the pre-cleaning process in order to prevent any damage from soot and corrosive byproducts from becoming permanent. When there is mold on your property, it presents various challenges to you. Not only does mold have the potential to be harmful to your property, but it can also be hazardous for your health. Mold grows as a result of water damage or excess moisture. This is the case because mold thrives in moist areas and requires a moisture source for survival. Mold often uses affected surfaces as its food source, which is what causes serious property damage. The longer the mold goes untreated, the more time it has to cause major damage to your property’s structure and health problems to any and all inhabitants. It is vital to have mold problems addressed immediately. At ServiceMaster All Care Restoration, we eliminate mold from both residential and commercial properties in Glendale, AZ through our mold remediation services. Our professionals will thoroughly assess your home or business for mold and then eliminate it with our specialized equipment and methods. Natural disasters can be unpredictable, making whatever damage they cause the same. 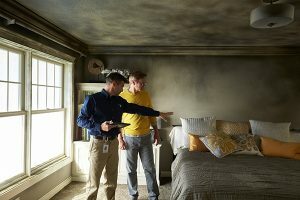 It’s impossible to figure out whether a fire, flood, mold growth, or storm will cause minor damage or major damage that requires prompt repairs. If your home or business suffers major structural damage, be sure to call a restoration company right away so that professionals can begin stabilization and construction on your property. At ServiceMaster All Care Restoration, we offer complete construction services to Glendale, AZ including building stabilization, planning, and execution of the plan. 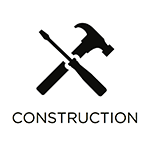 Our professional construction workers will thoroughly stabilize and rebuild your property. Carpets have the power to set the tone of a room, making them an important furnishing in both residential and commercial properties. If a carpet appears deteriorated, faded, or stained, then it makes the entire room look dirty and poorly maintained. This is particularly harmful for businesses, because customers, clients, and other visitors will have a bad impression. Getting your carpet professionally cleaned, however, can solve such problems. The carpet will be rid of any stains and debris that was embedded in it, restoring it to a good condition. 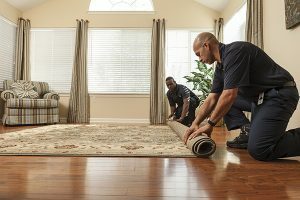 At ServiceMaster All Care Restoration, we provide both residential and commercial properties in Glendale, AZ with professional carpet cleaning services. We use an advanced hot water extraction cleaning method that eliminates stains and dirt and restores the carpet’s original color and texture. Natural disasters often leave behind foul odors that linger on your property. Whether the smells come from fires, smoke, floods, or mold growth, the odors will travel to all parts of your property and become absorbed by many materials. Because of this, it can be difficult to eliminate such smells. 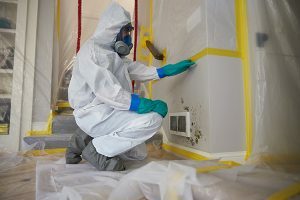 At ServiceMaster All Care Restoration, we provide odor extraction services for residential and commercial properties in Glendale, AZ that include complete removal of unpleasant smells. In addition to thoroughly extracting the smell from the air spaces and affected materials, our professionals will locate the odor’s source and remove it. When natural disasters strike, its damage is often extensive, ruining your personal belongings, your home, and its furnishings in the process. Such damage to your belongings is aggravating and could become permanent if not tended to immediately. As such, you need to put aside any damaged items following a disaster so a professional restoration service can address the damage right away. At ServiceMaster All Care Restoration, we provide content cleaning and pack-outs to homes and businesses in Glendale, AZ as part of our disaster restoration services. Our professional technicians are dedicated to cleaning and restoring all of your damaged content either on-site or at our facility through our pack-out services. A great deal of people in the United States struggle with hoarding issues. Such behavior leads to harmful consequences for themselves and their families. 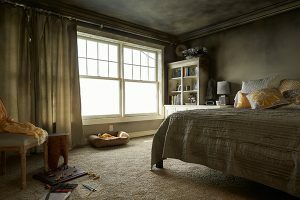 Those with hoarding problems have a mental disorder that is based in depression or anxiety and manifests as being unable to throw away stuff from their home. When the clutter increases, the space becomes hazardous and unclean, risking the inhabitants’ health and safety. If you know someone with a hoarding issue, then you need to first reach out them to talk about it. Afterwards, call a professional service to assist with decreasing the clutter. At ServiceMaster All Care Restoration, we provide hoarding cleaning services in Glendale, AZ to assist hoarders who are prepared to clean their homes. Our professionals are respectful and compassionate with the cleaning service, making the affected individual an active part of the cleaning process. From warehouses to office buildings, disasters can be concerning for commercial properties. Not only is your workspace ruined, but all of your equipment, products, and content have likely been damaged as well. Some commercial properties are large in size, making the amount of damage significant and vast. 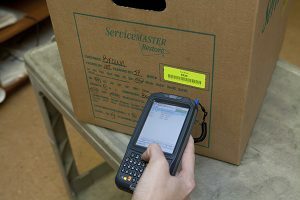 ServiceMaster All Care Restoration is here to help with the commercial large loss restoration services that we provide to damaged businesses in Glendale, AZ. We have highly-trained technicians who have the proper equipment to conduct restoration on damaged properties of any scale no matter what caused the damage. We will work in an effective, efficient manner to restore your business, allowing you to get back to business as soon as possible. The scenes of violent crimes and serious accidents are terrible to encounter, and they can be dangerous and traumatizing to find. If a serious injury or death happens on your property, you need to alert emergency responders and call 911 immediately. Be sure to stay away from the scene as well in order to avoid harmful biohazard materials. Law enforcement officials and EMTs will respond to the scene to handle the situation; however, they aren’t trained to clean and disinfect the area. At ServiceMaster All Care Restoration, we provide trauma scene cleaning services in Glendale, AZ to restore the accident or crime scene in a safe, efficient manner. 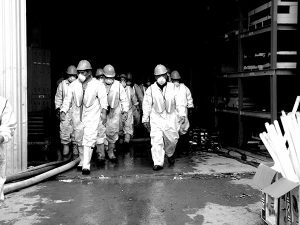 Our technicians can be trusted to conduct biohazard cleaning with a sensitive approach that is meant to ease the burden for anyone who has suffered a loss.